Xtreme Science mode is happening! One of my scientific advisors and good friends, Dr. Leylah Zeek, is attending the NORD conference in DC with me right now. NORD is the National Organization for Rare Disorders. This meeting is the Breakthrough Summit on Orphan Products for Rare Diseases. There are nearly 600 attendees representing patient advocacy groups, industry, academia, big pharma, FDA, NIH, and investors. We have been able to hear stories of parents like me who started a foundation and research for their children’s Rare conditions. We have been hearing some of the newest hopes in gene editing and therapies. We have met some amazing people, some with incredible hope and some with frustrations and challenges only some cooperative like this could help address. We are encouraged by how far Xtraordinary Joy has come in these last 4 months (the short life of our foundation). And our eyes are open to some of the challenges we may encounter in our future. My approach will not change. We are still going to forge ahead always. And move at the pace needed to gain understanding and therapies for our Moriah Joy and others with her deletion. And in the future…other deletions and rare disorders. In fact I just strolled the large room of posters presenting data collected by various rare disorder groups. I took photos and notes on how others on this path are making progress and reporting their plans and data. There are so many on this journey. I can really see us having a poster and oral presentation next year on research advances we have in the works in the coming months. And we are focusing on establishing relationships with some of the organizations here, because this time next year we expect to be in a completely different phase of our work. Data analysis and expansion. The neuroscientists and cellular reprogramming specialist we have on our scientific team believe this work will be successful and beyond that will establish a model of personalized medicine that will help many with rare chromosome disorders, other kids with autism and intellectual disability and epilepsy. We can see how important it is to have funding. Kristen Gray, mother and founder of Charlotte and Gwenyth Gray Foundation, opened the summit yesterday morning to share her quick journey. I say quick because she pushed for diagnosis and then research in a field where there was no cure and she would not accept that fate for her daughters. With some celebrity sponsors and amazing friends they were able to raise millions in their first year which ultimately put them on a fast track enabling their daughter to be the first to receive a new therapy for her rare deadly diagnosis–Batten Disease. Amazing!!! Celebrity sponsors or sponsorship period is not easy to get. But grants are less available for us. We suspect we will be able to apply for some grants next year, once we have some data. For now we see how much our fundraising efforts are needed. Please join our fundraising efforts. You can donate or purchase tickets to our gala which is in TWO weeks. Or maybe you can sponsor us or donate some items that will motivate others to give. Maybe your gifts would be to volunteer your time and talents (for example: provide some marketing, public relations communications, or administrative assistance). I need help and have several areas to address to help us as we grow. The theme here at NORD is “Alone we are rare–Together we are strong!” Thank you for being in this with us Together! CELEBRITY! So many people have called me a celebrity lately thanks to the local news piece that covered our story of rare chromosome disorder diagnosis. It got me thinking. And laughing out loud. Celebrity. That is the last thing I ever dreamed of. And especially not for this reason–a child with great need. Now I realize I am not REALLY a celebrity. But I am getting a lot more calls and emails from other mama’s wanting to connect and wanting to hope (I will have to come back to this one because this subject gives me a billion different feelings worth writing about). A celebrity is a very important person, right–VIP? I struggle with this because I have never placed much importance in fame. I have actually been pretty anti-celebrity. I can’t tell you who sings songs on the radio or who the famous actor is in a movie. Because I just don’t really care. Sorry, but that is just me. I know I am a minority probably. But like most things, God has used THIS to help me reflect and learn and develop into something new; what He wants for me. Again, I am not thinking “He wants me to be famous.”. But I feel I have learned a lot about myself and my community in this time since our story was made so public. I have always taught my children not to put faith in their celebrity idols because they are just people; people that make mistakes. And I have always believed that God sees us all equally important and loved; that money or exposure or even talent or good deeds shouldn’t make us feel more important. And yet, I find myself promoting my image, my company, my family. It doesn’t feel natural. I am coming at this from way out of my comfort zone. These last couple months have been a whirlwind of events, meetings and feelings. I don’t think my writing actually does justice to the emotional battle I feel daily. Reality vs. Hope; Faith vs. Fear. I can’t even shut my brain off at night to sleep. I wake thinking of all the action items I have for the day and ways to reach out to others, which isn’t my absolute favorite thing to do. Asking for help has not been easy but I have had a ton of family and friends step up and offer and take some of that burden. In fact most of the help has come from people reaching out to us. Even strangers. One Wednesday, I received a Facebook message from a reporter at our local news station asking to interview me that day. I had no time to prepare anything or even put on makeup. Thankfully this reporter did such a great job at capturing the JOY in this piece that aired just hours later. Word was spreading. Our message of Joy was also being tweeted and was taking off on Instagram and Facebook www.facebook.com/xtraordinaryjoyinc. Our website www.xtraordinaryjoy.org was up and getting hundreds of hits daily. There were so many people anxious to share the hope we have. One teenager (we have never met) who saw us, emailed to tell us she was setting up a bake sale to fundraise for our research efforts. The more deeply I get into the Foundation work, the more I know this is eXactly where God has planned for me my whole life. Moments when I am full of my own self-doubt I feel God’s presence so profound that I know He has it all under control. Moments when I want to go back to a “normal” ordinary life, my heart is flooded with eXtra-ordinary joy. Moments when I am frustrated with my desire to control the timing and response to my pleas, I feel God’s patience and peace that His timing is perfect. It is easy to wrap myself in all the daily “stuff”. My to-do list grows everyday. With every check on the list, I add twenty-two other reminders. And God is still there. He is guiding me and providing–in so many ways. I especially feel His lavish love seeing the people that have come together to form Xtraordinary Joy board of directors, planning and fundraising and energized. Wow. He blows me away with His goodness. Sometimes I just “stumble”across a lead and know it is all His guidance. I am eXperiencing a whole new JOY in this purpose and seeing Him move in everyday needs. God is the real CELEBRITY. He is who I wish to honor with all that I do. It isn’t easy to have your life on display, but there is a great purpose to the exposure–accountability, motivation (as if I needed more) and spreading awareness. Please keep spreading the Joy and sharing our story, so that we can do more. The next blog post will address how we are planning the “more”. For now, know that we appreciate all of you. I am turning 40 this month and I have been reflecting on my life. 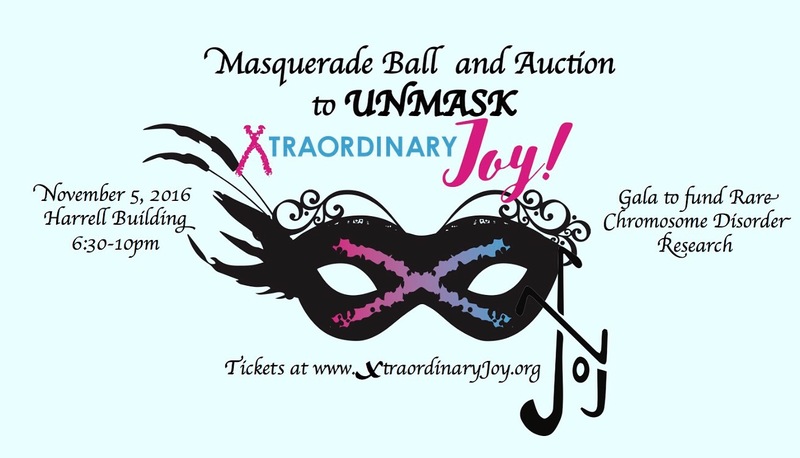 I don’t think it is coincidence that I feel a stronger sense of purpose this year, with the start of Xtraordinary Joy foundation. Forty is a number that is used many times throughout the bible to signify a period of time, like 40 days or 40 years, and represents a period of testing or judgement and then the fulfillment of promise. I think, what if, my last 40 years I have been like the Israelites Moses led in the mass Exodus out of Egypt, “wandering the wilderness”.. and now I am seeing the Promised Land for the first time. what if the wandering is the key here. I haven’t exactly stayed the course these 40 years. Like the Israelites, I may not have kept my focus on the joy and instead got lost in grumblings. And like those blessed people, I have gotten to see some pretty significant miracles that have wakened my purpose and direction lately. I would say they felt like burning bush-type of miracles. The kinds that help shift focus to Joy. I don’t sense that entering my Promised Land nor the next 40 years are going to be restful or easy. I have signed up for a lofty mission. But practicing Joy will definitely help me make the next steps in this journey. When I looked up “forty” in my bible search field, a few verses actually really spoke to me. In the Message version I like to read, several times in Judges it says, “The land was quiet for forty years.” In other versions that quiet means rest and peace. Then if 40 years is the period of time, then a change is coming this year, right. Less peace and rest and quiet. Now my husband wants to know how I have been quiet ever. Ha ha. But really, if my life has been at rest these last 40 years it is about to rise up and make some noise now. I am thinking Xtraordinary Joy type of loud, like shouting my eXuberant JOYful noise. Join with me, friends. Let’s shout our joy. Let’s discover this together, what it means to make a Joyful noise in Xtraordinary ways. I know it isn’t easy to show your silly, joyful side sometimes. I know it is out of my comfort zone to ask for help and ask you to join us in spreading joy. But that’s what my 40th birthday plight is. Stretch with me folks. Watch this video and then make your own video of what joy looks and sounds like to you. Make it as silly or loud as you want. And don’t forget to challenge others and share the gofundme site. We need all the help we can get to get this started. Thank you so much, friends. I am excited to write that this journey we have been on is beginning the next phase. I feel like we have run the adoption marathon and now are beginning an Ironman in Combatting rare chromosome disorder. We know there are going to be blisters along the way but the prize is worth it. We are setting out to fund and find treatment possibilities for our daughter and are blessed to partner with amazing scientists eager to help. We have some great ideas, which of course need propelled by funds. Grants are not going to be readily available for such a rare disease so it is really up to us. So we are working with some of our best friends and community leaders to plan exciting fundraisers and raise awareness and money for this cause. Thank you for supporting us. We will soon have 501c3 status so your donations will be tax deductible. Please share and follow. And God bless these efforts. I started getting visions of something before Moriah was born. I never understood them clearly but after her diagnosis, I began getting them again. I began seeing something big happening. I spent a lot of time telling God no. I didn’t understand the vision or why me. I didn’t feel equipped to do things I felt God putting on my heart. I would negotiate with God. And I would question, What if I just don’t do it? I know God was asking me to step out of the places I was comfortable and into an unknown journey…with Him. I resisted everyday. I pleaded for God to send help, someone else. And then after a lot of prayer, reading about some pretty cool people in the Bible that didn’t feel equipped for God’s plan, and seeking wise counsel in some of my most prayerful friends/family…I agreed. I submitted to God’s plans, which I know are better than my own. I believe He can make anything come to life. And with His guidance I prayed for everyday, I started working toward the vision of something that would leave me completely dependent on Him. As I pursued healthcare and treatment options for my daughter and scientific research on her deleted genes, my eyes were being opened to the needs in these areas. As I was being welcomed into support groups for moms of kids with special needs, I heard their plights and felt their frustrations. And I felt God positioning me to help, in ways I never dared dream. But just as I let you all in on this, I know their is such a risk. Of failing. Of exposure. Of fears I have never experienced. Of time and money and time. Yes, I meant to put that twice. I am not a known risk taker. I am known as the motherly, planned, rule-follower. And safety is key in all of that. I am safe. I don’t take risks. I make due with what I have and find happiness wherever I am. I would dare say my husband is similar. We have been married, worked and live in the same home for 17 years. You get me? We don’t rock the boat. I don’t rock the boat. I like this trait in me. But God says, (and I am paraphrasing) “let me work through your weakness.” (2Corinthians 12:9) He is teaching me to want more and dream bigger. He loves me enough to help me grow into something else He wants for me. And He isn’t going to stop until He is finished (Philippians 1:6). So I am taking a leap of faith. And my husband too. We knew when God asked us to adopt and we accepted His will, we were showing God we could be trusted to continue to follow Him. We knew we would be stretched, expanded into other areas. So the time has come for our next calling. We feel called to start something new… A foundation for Moriah’s rare X chromosome deletion. When we said yes, we didn’t fully know the plan. We still don’t know exactly how we can help, what raising money will do, but God is teaching us more about trust and His power. He is teaching us to dream bigger, do bigger, love more. He knows the JOY Moriah brings to so many and is X-panding that JOY to reach more. We have a small view of the plan and keep getting more of the picture as God reveals more to us. Stay tuned. It’s going to be good. Moriah doesn’t talk like a nearly 2 year old usually does. She doesn’t even say, “mama”. She doesn’t mimic me when I repeat sounds and words she should be able to understand by now. That is what you all want me to say, right. YET! You all want me to believe she will. You have all been so supportive and keep me looking up. And Moriah Joy certainly keeps me hoping and believing. But I struggle with the scientific realist mind innate in me and the God-breathed strength and faith gifted in me. I struggle with the longing I have to hear my daughter’s voice call for me and the knowledge that there are children living my fear. I have been blessed by Rare Chromosome Disorder Outreach to be connected with two other moms of girls with similar X chromosome deletions. These beautiful girls are 8 years old. And they are so much like Moriah. In many ways. They have bright happy smiles. They have similar excited hand motions. They don’t speak but use other communication efforts with pictures. They have low muscle tone too. The similarities go on. These awesome mamas have welcomed me with open arms, so blessed to have another concerned mama that understands the fear of the unknown, the frustration of feeling alone with so few cases of this deletion… They don’t have the privilege of knowing what the future holds but are grateful to share a few years into our future. They have alerted me to the different types of seizures their girls experienced after age 3 and the medicines that they have tried. They have told me about their special educational classes, autism diagnosis challenges, and the anxiety that is characteristic of Fragile X. Boy, these words speak to me. And the video is perfect. God takes our brokenness and makes it part of our story of victory and redemption and joy for His glory. I know the world doesn’t teach us to embrace our brokenness. But what if we let God fill the brokenness with Him? Moriah has a broken chromosome that is actually pretty revealing of what is broken in me. My 9 year old son Sy reminds me that is not about the destination but the journey. He is pretty wise. I am on a journey, my friends, and I am bringing you with me. Thanks for sharing this walk with us. It’s scary. It’s exciting. It’s full of victories and tears. And it is beautiful. A month after our courtroom victory, there had been no appeal. We seemed to be in the clear. It felt good to breathe. That stress had been removed. But it was settling in that Moriah had some big challenges. Her physical therapy was progressing well. She was doing exercises to strengthen her muscles. And she had gotten inserts for her shoes to help her keep her balance and was starting to walk. She was so happy to be on the move. Her feeding therapy, even as slow as it was, was helping her keep food down despite bouts of gagging. She was tolerating more foods and textures and the therapists were excellent about trying new tools and techniques. In addition, she had started speech therapy, with the understanding that it may be a long time before she uses words. The whole family was helping. The boys have been so proud to help her with her therapy at home. And her day caregivers were more than happy to help and tell me any progress throughout the day. And then her genetic tests came back-by email-“abnormal”. There was a detailed explanation of her results in the report. We had answers. This is a blessing in itself. I have met many families since the diagnosis that do not have the privilege of a diagnosis, but struggle with long term delays and many unanswered questions. So we are very thankful to have some knowledge about the cause of her delays. However, the diagnosis is complex, even for this scientist. And rare. And has no pretty name or awareness events or walk for a cure. But there are a lot of positives despite this. She will live. She does not have a terminal diagnosis. And I know God has big plans for Moriah Joy (please know that I do not mean God does not have plans for those lives that leave this world before we are ready; I merely claim the victory of eternal life for us through Jesus and the promises God has for us and I claim every blessing over my family). Moriah is missing 46 genes on one of her X chromosomes. This is called a deletion. Actually her literal diagnosis is “x chromosome microdeletion,” although 46 genes seems pretty not-micro to me. Most rare childhood disorders or diseases are caused by 1 gene mutation. 46 seems so daunting. Here is some background. Girls have 2 x chromosomes and boys have 1x and 1Y. So the next test our geneticist wanted to do measured how much of her “good x” was present in her blood. He called me from vacationing to order those next tests. Turns out she is about 50:50. This means half of her cells make the needed proteins and half of her cells do not. Of the 46 proteins she could not make in those cells, 5 of them are associated with known syndromes and disorders, with mild to severe symptoms. For example, one of her missing proteins FMR1, Fragile X Mental Retardation, is what is lacking in those with Fragile X Syndrome. While she does not have that diagnosis because she has half of that protein, she has several symptom similarities. She is missing more than that one protein. It may be years before we know how some of these deleted genes affect Moriah. And in the meantime I am reading as much as I can. In my reading, I have found that there are other kids that have deletions like Moriah’s, but maybe different genes are missing or a chunk of the same region but not exactly the same. I have been able to find journal publications on children and adults that have very similar deletions so I can gain an understanding to some degree. A publication in 2014 states that only seven girls plus the three girls in that research article had been reported. Again, some deletions included in the study are smaller than Moriah’s deletion and sometimes the X ratio is different for each child. In fact none of the 10 reported girls have the exact same genes missing but have the most similarity. Moriah may be the only girl with that exact deletion. Most studies note any physical anomalies and developmental delays that give me a place to start (mostly comparing and giving me a level of expectation. For instance, most of the girls did not have words until 4 or 5 years old and were delayed to sit, crawl and walk due to muscle weakness.) Others similarly reported gagging, vomitting and reflux among other feeding issues. These things are helpful even though I understand there are differences. Definitely the most information available is on the FMR1 gene but I am looking into every single gene. I have been reading anything I can get my hands on. Most things I find with my experience in scientific research. I am sure it is a blessing but some days I read some difficult material and am not sure I can handle it as a mama. Many of the deleted genes are needed to regulate tumor suppressors. Without that regulation, she may be more prone to irregular cell growth (the “c” word). Several of her missing genes (and their absence) are implicated in some organ difficulties, specifically ovary failure. As a mom, I feel heartbroken over the reports of infertility and premature ovarian loss, but also know now is not the time to focus on this. And lacking another of her missing genes has been theorized (but not proven) to be responsible for brain tumors and bipolar disorder. You bet I’m going to learn more about this( but there is next to nothing on it at this time). So I stay plugged into her developmental delays. And I have joined about every online community I can and continue to advocate for therapy and developmental resources. I am putting it all together right now. Four months after diagnosis, I am writing specialists and researchers for expertise and gathering as many facts as I can. There is some excitement in X chromosome research that I plan to follow and propel if I can. And there are some biological advances in understanding and possibly treating Fragile X I plan to stay on top of. In the meantime, therapy is the best support I can provide Moriah besides unconditional love and family and stability. I am attending support groups for special needs families and learning so much about some of the commonalities. I am gaining insight into autism spectrum, sensory processing, apraxia, gastrointestinal issues, ear tube dysfunction, sleep difficulties, anxiety and other behavioral and developmental concerns we are already facing. And most days I get a healthy dose of perspective and gratitude. A lot of parents are going through some battles I just have never allowed my mind to go. But now I am awakened to so much more. I have always had a passion for mamas; I wanted to be an OBGYN or midwife for most of my life. But now I get to connect with mamas in a whole new way, praying for their unique needs and learning from the steps they have taken. I can see God’s blessings in this too. And I am in awe of how good He is. He IS good. All the time. And I am leaning on Him for strength and wisdom and compassion to be the best mama I can be to all my children.